Samsung’s SmartThings users are transferring more and more to Homey. Switching users often cite the lack of development on the SmartThings platform and the versatility of Homey as important reasons to switch. Since Homey is a full-fledged SmartThings alternative, the SmartThings Hub can be fully replaced by Homey. This means Homey takes on the wireless connections to your sensors and switches. Like SmartThings, Homey also features Wi-Fi, Zigbee and Z-Wave wireless technologies. Homey also features 4 other wireless technologies, which SmartThings doesn’t. By switching from SmartThings to Homey, a lot of new functionality becomes available. Including support for TVs over infrared, Somfy blinds, wireless socket switches, integration of Chromecast and Spotify Connect and a much more versatile home automation platform with Homey Flow. Before you switch, it’s good to be aware of the major differences between Homey and SmartThings. The SmartThings Hub features 3 types of connectivity to devices: Wi-Fi, Zigbee and Z-Wave. Homey also features these radios, but adds Infrared, BLE (Bluetooth Low Energy), 433MHz and 868MHz. This means Homey’s technology can connect to almost everything the SmartThings Hub connects to (SmartThings’ own sensors being a notable exception), and adds a lot more, like your TV. Connectivity is a base requirement for integrations, but doesn’t warrant it. Not any device with Wi-Fi on board can control every smart thermostat. To take that example: SmartThings works with Honeywell and Ecobee thermostats. Homey does too, but adds Nest, Tado, Hive, Netatmo, Toon, Nefit, Eurotronic, Anna, Atag and more. 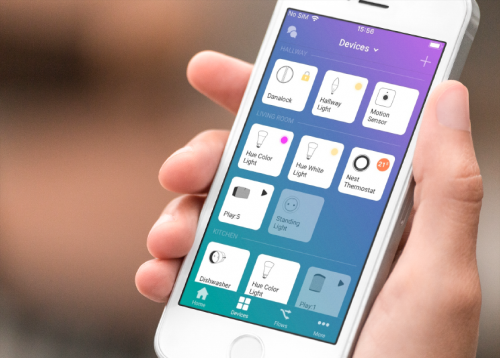 In general, Homey supports all Z-Wave devices SmartThings does – and more. The same holds for smart speakers, where Homey supports Bose Soundtouch, just like SmartThings, but also adds Sonos, Bang and Olufsen, Denon, Marantz and all Spotify Connect speakers. In terms of video, SmartThings has no integrations, where Homey features support for Chromecast, Kodi and TVs over infrared. One of the main differences in integrations is in the category of smart lighting. Where SmartThings clearly focuses on US-based systems like Cree, Leviton and GE, Homey favors brands popular in Europe, like Philips, IKEA, Osram, Xiaomi and Trust Smart Home. In total, the number of integrations differs a lot – where SmartThings cites 304 devices as compatible with SmartThings, Homey integrates hundreds of different Homey Apps, each of which support up to hundreds of different devices per app. Including Infrared devices, over 50.000 devices are supported by Homey. SmartThings and Homey take a different approach to apps and their platform in general. In SmartThings, consumer-made scripts can be copy-pasted into SmartThings to add functionality. This approach requires you to either write code yourself or copy code from someone on a forum. Homey on the other hand has a complete app-structure. This is similar to a smartphone, and means all integrations feature a Homey app which can be installed with one click of a button. This is not only easier, but safer too, as Homey apps get reviewed by both the community and Athom before being accepted into the Homey App Store. One of the main differences is the direction of the platform. When looking at the developments in the past 2 years, SmartThings looks to consolidate itself around Samsung, adding only little other devices than Samsung-branded vacuums and fridges. The independent Homey on the other hand, with its open platform, has only become more versatile, with integrations ranging from educational to comfort, security or even fun. In short, Homey offers a lot more when it comes to connectivity, integrations and with that device versatility. 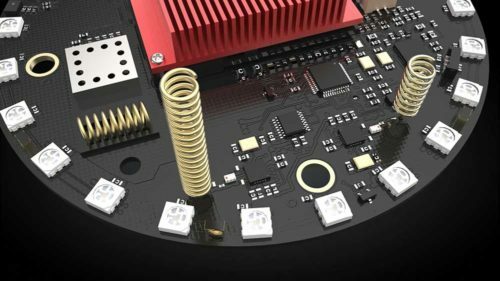 If your setup is mostly based on US-focused lighting brands like Cree or Leviton switching might not be the best thing, but in any other case you add a lot more freedom and possibilities to your setup by switching to Homey – without losing the money you already invested in these devices. Curious? Learn more about Homey. Transferring your devices from SmartThings to Homey is not hard, but it might take some time. The steps involved differ per device, but are generally the same. Devices connected to Wi-Fi are easiest to transfer, as they can be added and controlled by multiple systems at once. These are ‘smart’ devices, which often also feature their own smartphone app, like a Honeywell Thermostat or Bose Soundtouch. To connect them to Homey, simply install Homey and link it to your Wi-Fi network. 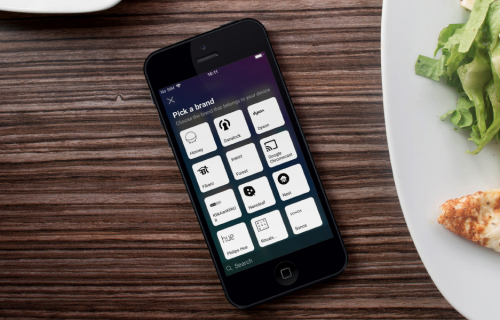 In the Homey app, select ‘Add Device’, then choose the brand and the devices will show up in Homey automatically. 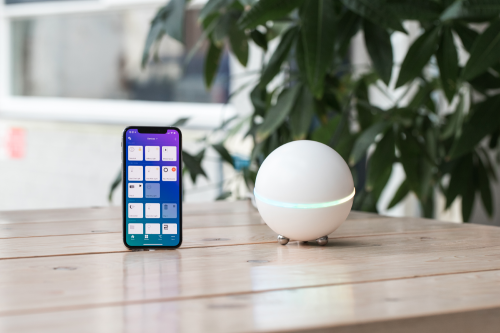 These devices do not need to be reset, and could even be controlled by both a SmartThings hub and Homey at the same time, although we would recommend keeping control in a single system to avoid confusion. Other wireless devices you would want to transfer often run on either Zigbee or Z-Wave wireless technologies. To transfer these devices, they first need to be reset, and then added to Homey. Zigbee devices, of which light bulbs are by far the most common, can often be reset relatively easily. To transfer them to Homey, open the Homey app, select ‘Add Device’ and choose the brand of the device. The app will now tell you how to pair your device including a reset, which often involves turning the light bulb on and off again for five times. After that, the device is fully included in Homey. From that time on, it can only be controlled through Homey. Home automation sensors and switches often use Z-Wave as wireless technology. Brands that use this technology include Fibaro and Aeotec. Z-Wave devices need to be reset before they can be transferred to a new system. To reset any Z-Wave device, you can open the Z-Wave settings in the Homey app and select ‘Reset any device’. Now, place the device in pairing mode, and Homey will tell you when it has been reset successfully. After a reset you can add the device in the regular way to Homey, by choosing ‘Add Device’ and selecting the brand of the device. Note that Wi-Fi devices of the same brand can be added in bulk when Homey is on the same Wi-Fi network. Other devices, however, need to be reset one-by-one. This can often be done in their installed location, but does require a bit of time if your installation spans a lot of devices. Transferring your Smart Home from SmartThings to Homey makes a lot of sense in many cases, including freedom of choice for future updates, versatility in automation and a future-proof, open app platform. Although transferring all your non-Wi-Fi devices might take some time, most setups can be transferred in one afternoon, especially as Wi-Fi devices are even easier to transfer. No hub yet? No problem. For just 299 Euro you have the perfect foundation for an awesome Smart Home. It even saves you the transferring steps above. 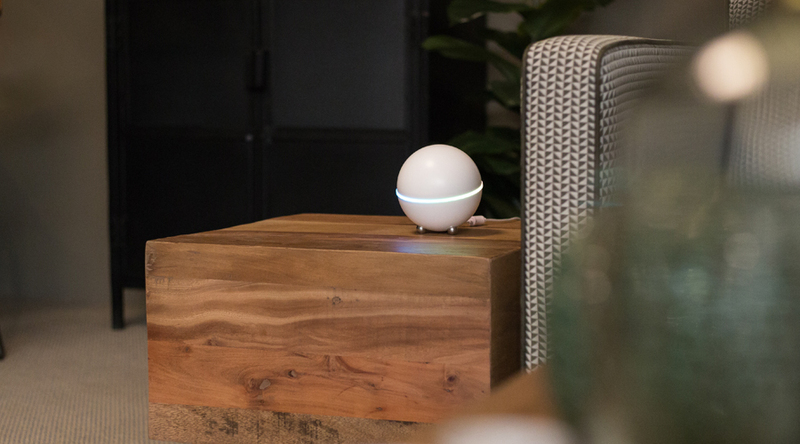 Create a really smart home with Homey.